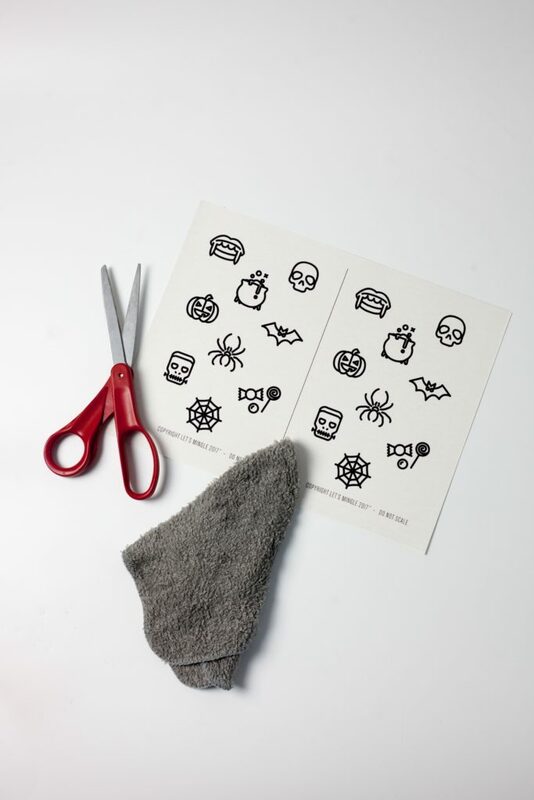 The tattoo sheets that I use are made specifically for a cutting machine (like a Cricut or Silhouette), but you can totally use them without the machine too, which is exactly what I did! You feed the specialty paper right through your at-home inkjet printer and then apply the sticking sheet, which comes with the paper. Cut them out, apply them, and wear them around. Easy, peasy! 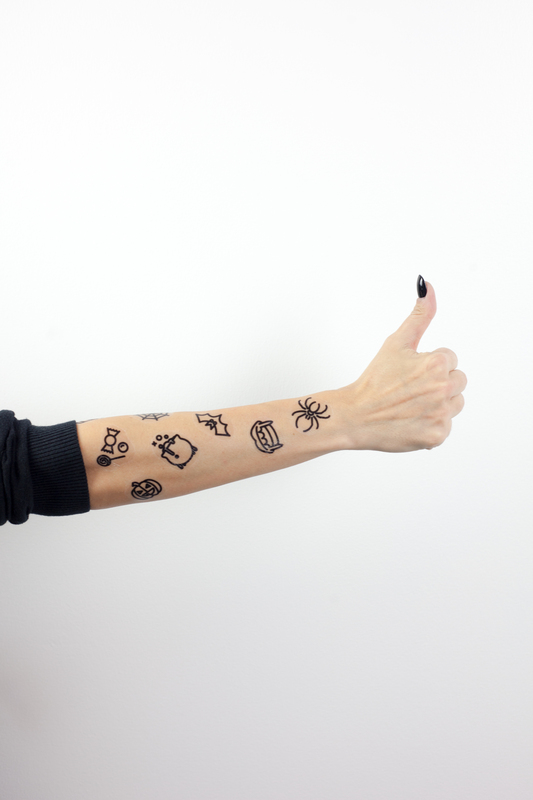 First, print the file onto your tattoo paper, following the instructions listed on the back of your tattoo sheets. 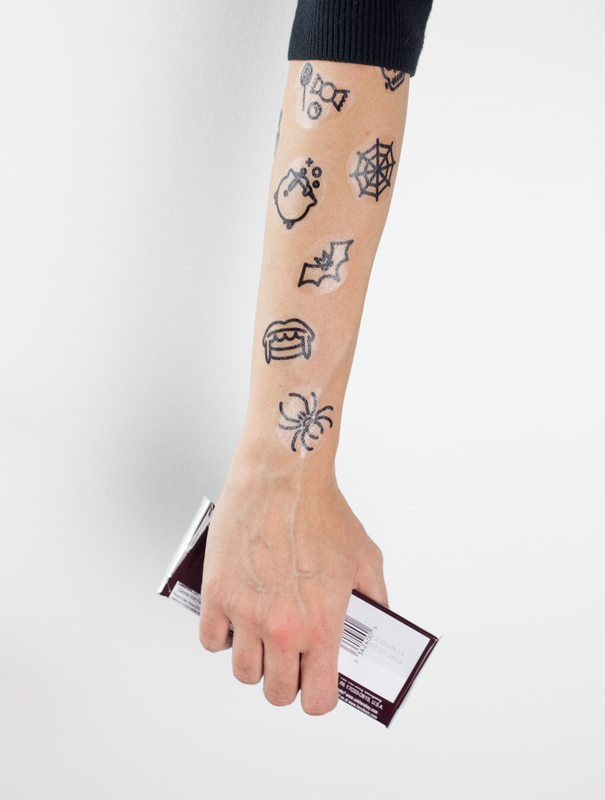 Peel off the plastic protection sheet (the clear one) over the tattoo and place the tattoo onto your skin, face down. 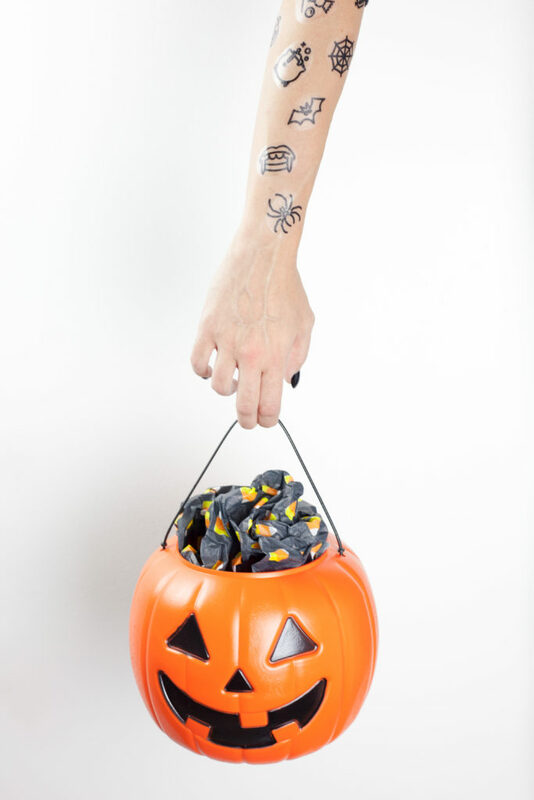 Apply a damp paper towel or cloth over the top of your tattoo, completely covering the paper backing. Press and hold for 10-15 seconds. (It’s usually done when you can see your tattoo design through the back of the white backing sheet). Apply as many or as little as you like and sport them around town! 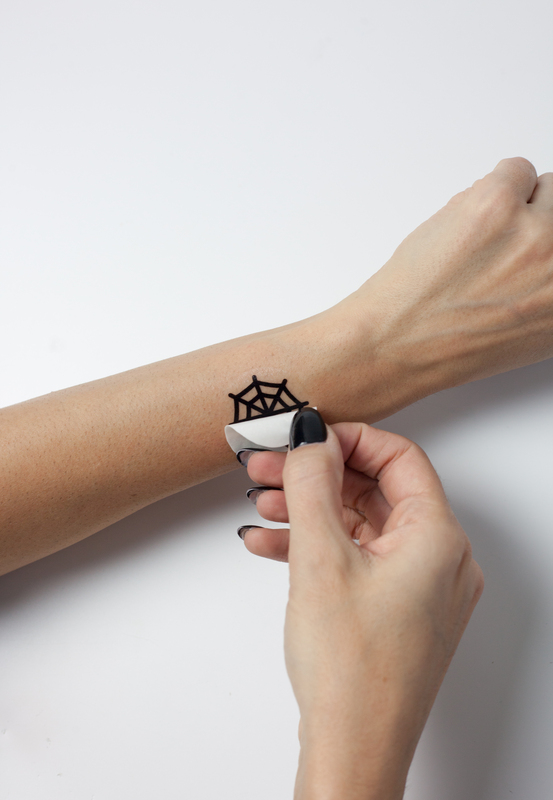 These printable Halloween temporary tattoos would also make cute little gift ideas! 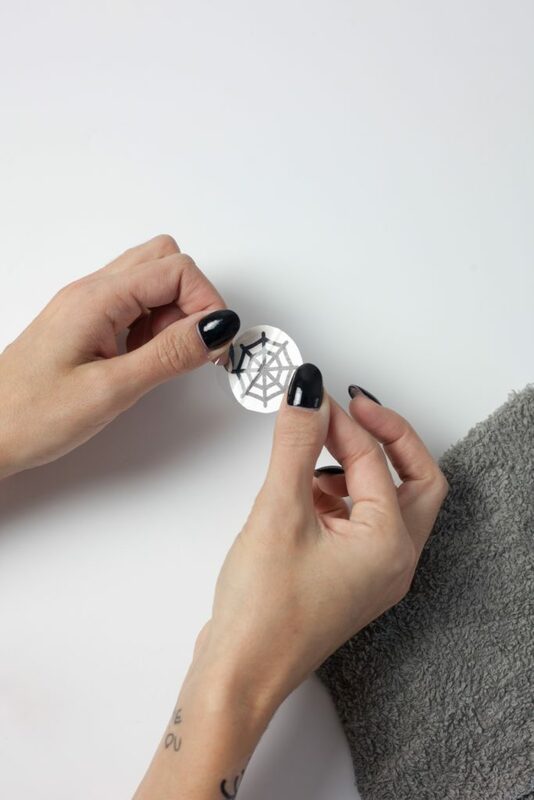 The printable file comes complete with two full sheets (just cut them right down the center! ), or you can cut them out and give them out individually too! 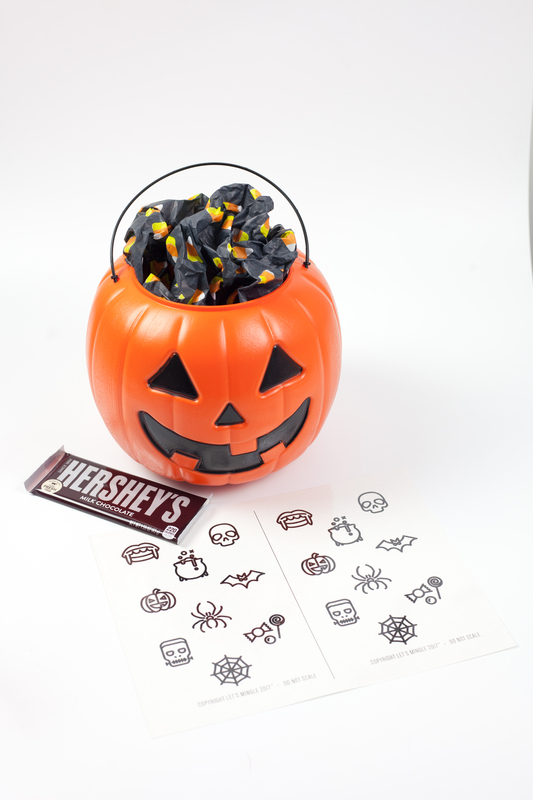 A fun way to celebrate the spooky season! 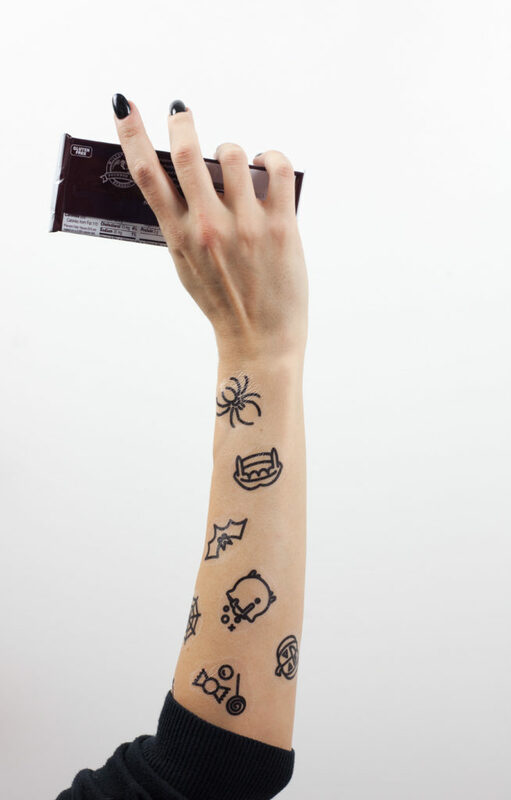 Looking for other ways to use this awesome tattoo paper? Check out the post here and here for some awesome ideas!